This June, talk of Instagram's growth has been everywhere. 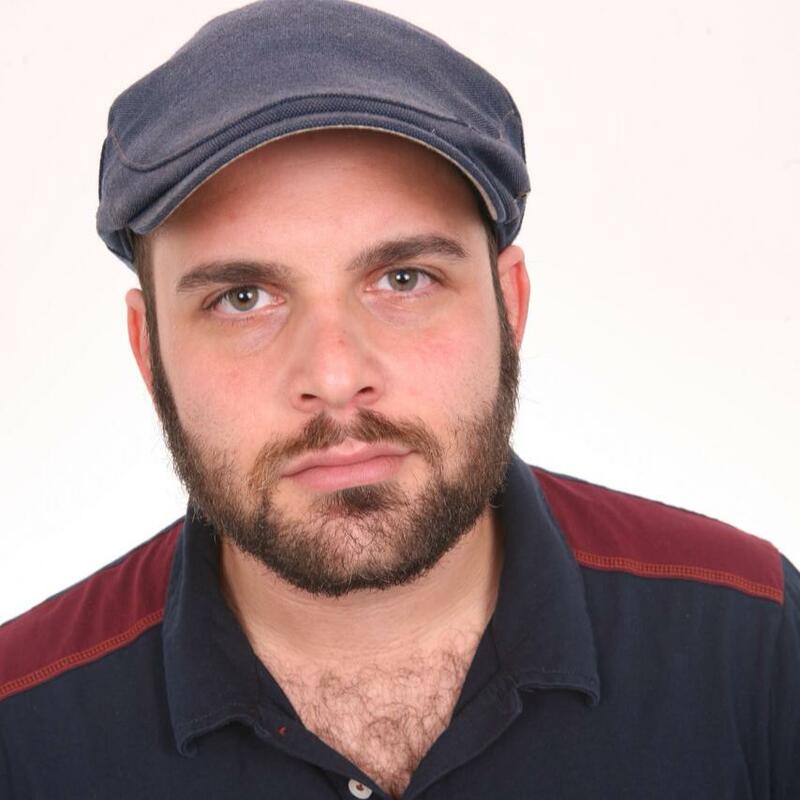 On Wednesday, June 20, the platform announced it has surpassed 1 billion active monthly users, then positioned itself as serious competition against the flourishing YouTube and struggling Snapchat with the launch of IGTV. 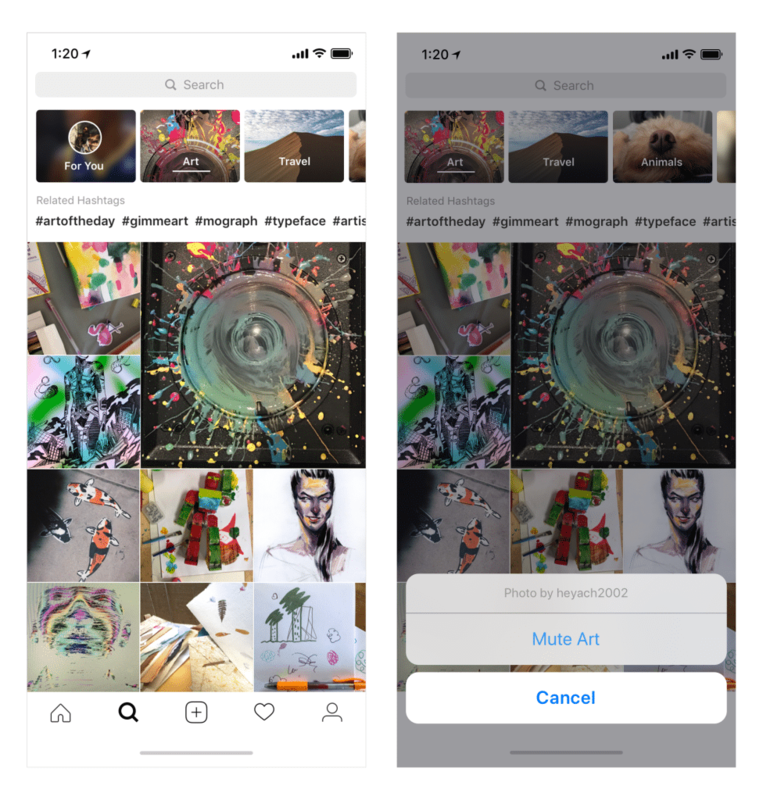 One week later, Instagram now launches three features that were teased at Facebook's annual developers conference, F8, in early May 2018. Let's take a look at how communicators can make the most out of Instagram's new video chat, topic channels and filters for Instagram Stories. 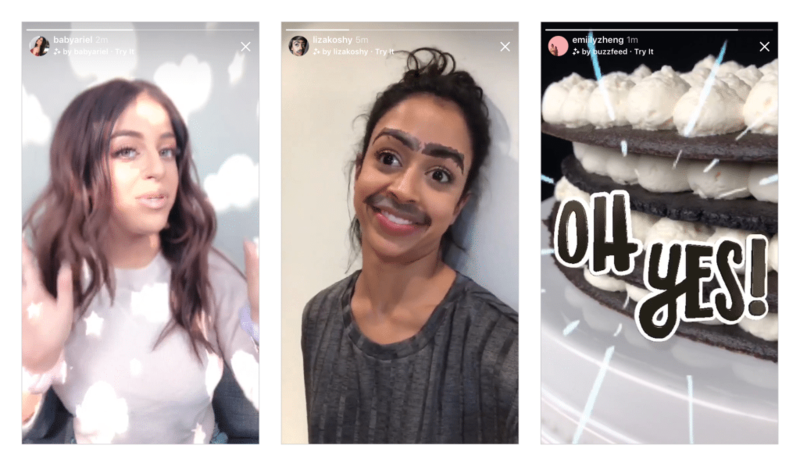 The announcement of new filters for Instagram Stories might not mean much for professional communicators on its own, but the fact that these new filters are designed by influencers and celebrities is nonetheless a significant move for the platform. By letting certain influencers infuse their personal, branded aesthetic into their followers' messaging, Instagram gives those influencers a digital footprint far beyond the reach of content that they personally produce. "Whether you want to make your friends laugh or add some glam to your selfies, you now have more ways to express yourself and feel closer to your favorite accounts," Instagram said in the announcement. These custom filters aren't being designed by just anyone—the first of these new camera effects were designed by Ariana Grande, BuzzFeed and the NBA along with Instagram influencers Liza Koshy and Baby Ariel. To implement these effects, tap the face icon at the bottom right corner of your screen. You will automatically see the new effects in your Instagram camera if you are already following these accounts. If you aren't a following them, you can still tap the filter to try it on and add it to your camera if you like it. While Instagram's direct messenger made replying to photos and starting a dialogue around them much easier than combing through photo captions, adding video to this chat ups the platform's game considerably. Direct message threads now have a camera icon in the top right corner that users can tap to initiate a video chat. Just like on other platforms, the chat will ring on your friends' phones to notify them. The video chat can also be minimized so users can multitask on Instagram while a conversation is happening. 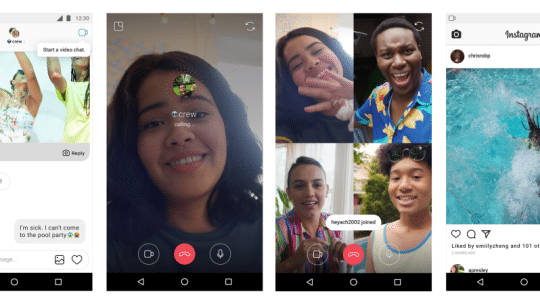 Users also have the option of video chatting with one person or a group of up to four people at a time, with the video window expanding as more people join. Group threads with active video chats will display a blue camera icon, and tapping the icon will allow users to jump in. Video chat on Instagram is yet another sign that the platform understands that brands and influencers are increasingly using the platform as a means for real-world transactions and professional correspondence. When it comes to interacting with merchants and brands, this tool is a blessing for social listening. What better customer care is there than being able to talk directly to someone from a brand or organization you're working with, face-to-face? The only requirement for video chat is that the accounts must already be engaged in an active direct message thread. Instagram's Explore feature has long been a valuable hub for users to see what content is trending and earning the most engagement, but it's also been a hodgepodge of content. Lifestyle and fashion content has been interspersed with comedy videos and news pieces, cooking tips and travel footage, making the feature not only difficult to navigate but tough to customize. Instagram reports that more than 200 million people visit Explore daily, making the need for some organization all the more pressing. That's why Instagram rolled out long overdue topic channels for Explore, segmenting its trending content into personalized subjects that its algorithm generates based on what you've liked in the past. These include a "For You" channel, which mixes posts customized to your interests, along with suggested topics that you tend to engage with on the platform such as Art, Sports, Beauty or Fashion. Users can also customize these topic channels as interests change. Pressing and holding a channel's button in the menu will allow users to remove the topic by pressing "mute," sending it to the end of the topics tray. Adding topics is also quite simple—just browse through them by swiping left or right, and engage with a specific channel by tapping on it and scrolling up. For influencers and social media marketers alike, separating these topics into silos means more detailed analytics on what topics users respond most to, along with what demographics those users represent.